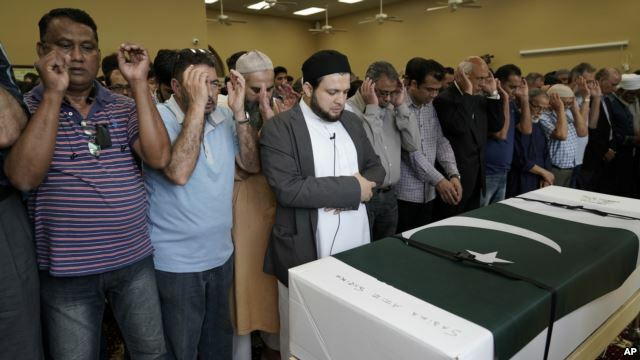 A funeral service has been held for a Pakistani exchange student killed in a mass shooting at a high school near Houston, Texas. The student, 17-year-old Sabika Sheikh, was one of 10 people gunned down Friday at Santa Fe High School in the town of Sante Fe, Texas. Eight of those killed were students, two were teachers. At least 10 people were injured in the attack. The accused gunman is Dimitrios Pagourtzis, a 17-year-old student at the school. He was arrested and is being held on murder charges. Sabika Sheikh came to the United States last fall as an exchange student. Friends and family said she wanted to learn about U.S. culture, while sharing her own with Americans. Sabika had two U.S. host families. Her first host mother was Pakistani American Uzma Parveen, who spoke to VOA at the funeral, held Sunday at a mosque in Stafford, Texas. Parveen said Sabika experienced many parts of American culture, including going to the yearly high school dance known as prom. She said she had big dreams, with plans to attend college to study to become a diplomat or a businesswoman. Also attending the funeral was Gerri Manlove, who helps run the foreign student exchange program. She tried to reach Sabika by text message the day of the shooting, but never got an answer. Manlove said she thinks there should be steps taken to improve security to prevent future shootings. She suggested students could be required to wear clothes that would not easily hide guns. Or, she said putting metal detectors in schools might help. Uzma Parveen said she also believes more should be done to prevent future tragedies. Friends say Sabika was looking forward to going home in a few weeks after the school year ended. They said she planned to celebrate the end of the holy Muslim month of Ramadan. Her second host family also attended the funeral. Host father Jason Cogburn spoke about the family’s desire to include Sabika in everything they did. Jason Cogburn, right, speaks as his wife, Joleen, left, and daughter, Jaelyn, far left, listen during a funeral for Pakistani exchange student Sabika Sheikh, who was killed in the Santa Fe High School shooting. Her host sister, Jaelyn, called Sabika “the most beautiful, loving person” she had ever met. Sheikh said his daughter had talked about one day joining Pakistan’s Foreign Office after finishing her studies. He called on U.S. officials to completely investigate the shooting. But he said he hoped it would not prevent other students from going abroad. 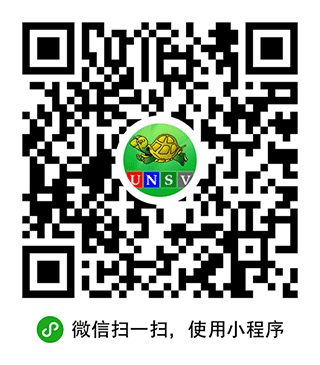 “One must go for education undeterred,' he said. 'But controlling such incidents is the responsibility of the respective governments,” he added. Elizabeth Lee reported this story for VOA News. Bryan Lynn adapted it for Learning English, with additional material from the Associated Press. Hai Do was the editor.